We Deliver to your location for a rental period up to 10 days. Mini bins are clean, attractive and comply with most homeowner association (HOA) rules. 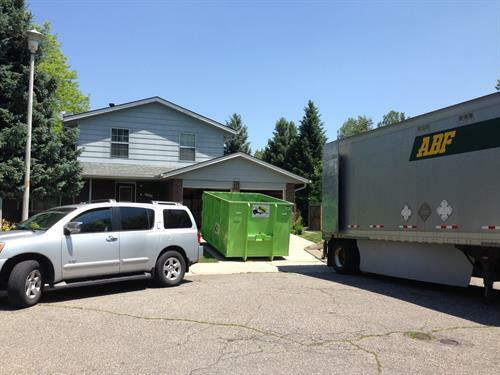 Bins are compact and can fit into driveways, alleys and tight spaces. Bins are easy to load from the rear, with double door access. 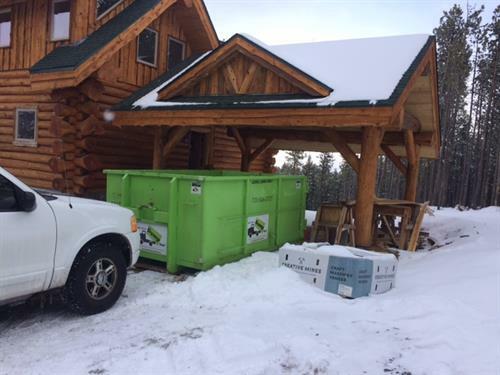 Bins do not rest directly on your driveway and won't damage your driveway - ask us for details when you call! 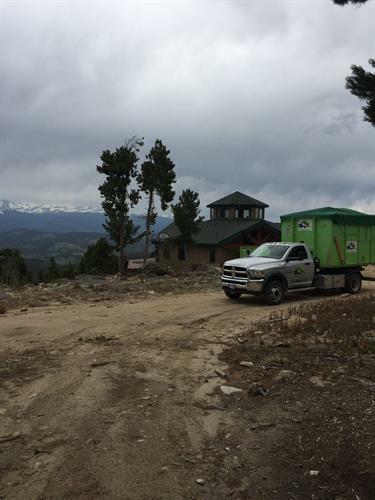 Bins are large enough to accommodate almost any residential cleanup, move out, remodeling project or disaster restoration project. Using a bin saves you time, money and stress. 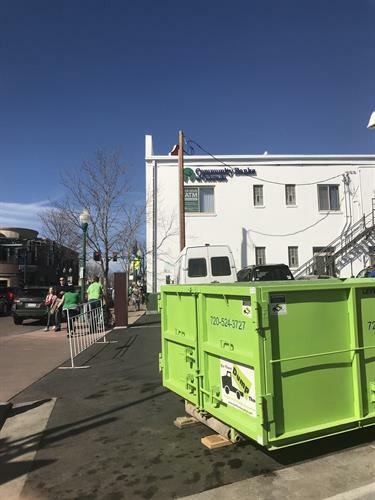 When you order a 'Bin There Dump That' bin you will NOT get a traditional dumpster - you will get a Residential Friendly Dumpster! We sweep up, when we pick up!